DHX – Dependable Hawaiian Express is one of the most experienced, reliable and innovative freight forwarders serving the Hawaiian market. Since 1980, the focus of our dedicated team of professionals has made shipping to Hawaii simple and dependable. Whether shipping Full Container Loads (FCL) or Less than Container Loads (LCL). We offer a variety of transportation solutions suitable to your particular shipping requirements from anywhere in the continental United States. Whether ocean freight or airfreight, full container load or less than container load, we provide personalized shipping services with the ease and convenience of working with one company. DHX – Dependable Hawaiian Express ships to Hawaii from Long Beach and Oakland, California; Portland, Oregon; and Seattle, Washington. With terminals on Oahu, Maui and the Island of Hawaii, and with the support of our delivery agents in Hilo and Kauai, we provide seamless coverage to all the major Hawaiian Islands. We need the following information for rate quoting: commodity description; dimensions of item(s) being shipped (length, width and height); number of pieces and weight; and the origin and destination addresses. For LCL quotes, use our convenient Quick Quote feature. 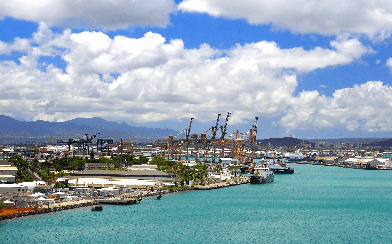 For all your Hawaii shipping needs, ship DHX – Dependable Hawaiian Express!